Rabid Pictures | Blog : 'X+Y' Featured and playing on NSI Online Short Film Festival! 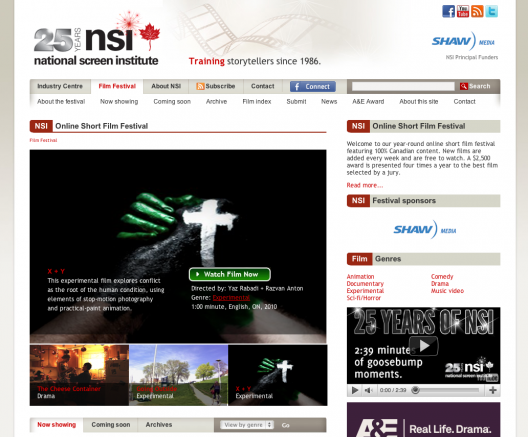 'X+Y' Featured and playing on NSI Online Short Film Festival! NSI Online Short Film Festival is officially featuring X+Y, the experimental film created by Razvan Anton and my self. Check the film out here! It starts up immediately after the 30 second banner promoting the 25 Years of NSI. It will only take a minute of your time - literally! Enjoy! Karim is currently listed under the Coming Soon section of NSI's site and should be up and screening soon!